Our Exhibitors were given an exclusive opportunity to attend a luncheon moderated by Suzanne Meyer, Marketing Expert. The panel included Stephen Davis, Director of Communications for Transportation for America; Brian Hare, Chief of Planning and Contract Management at PennDOT's Central Office; and Jon Pearlman PhD, PathVu co-founder. OTMA hosted a total of 22 Exhibitors and over 120 guests. 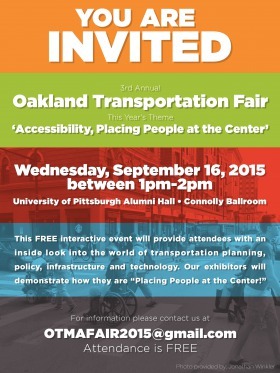 Thank you to our Sponsors: The Center for Sustainable Transportation Infrastructure and the University of Pittsburgh’s Urban Studies Program. 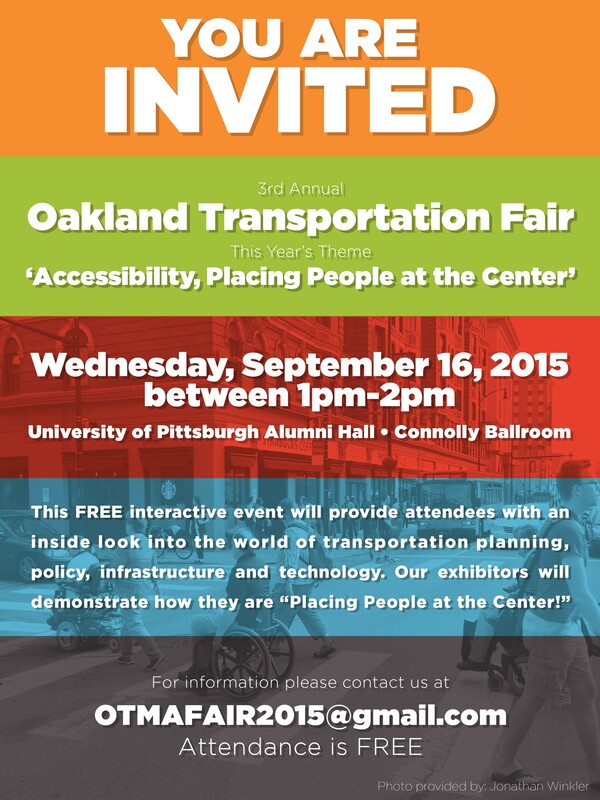 The 3rd Annual Transportation Fair was hosted by: University of Pittsburgh’s Community and Government Relations. Reserve your spot in Oakland today!